Have you ever dreamed of flying? Now you can make your dream come true! 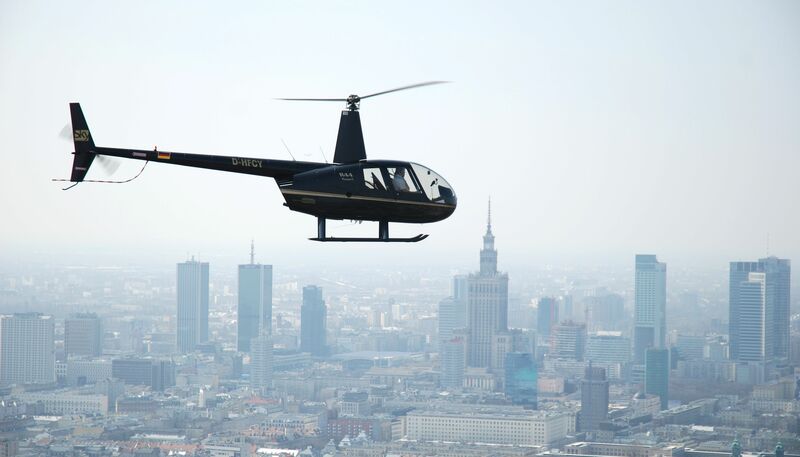 Fly over Warsaw and admire the city from the sky! 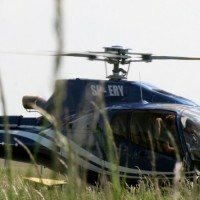 You can choose either a flight by a helicopter or an airplane. During this adventure you will see the Royal Route: Wilanów Baroque Residence and Park, Łazienki Royal Park, the Old Town, the Stalin’s Palace of Culture and Science and the city! 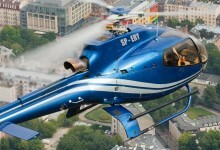 Flying by a helicopter or an airplane is the best opportunity to see Warsaw in different way. 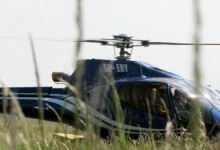 We offer wide range of fights by various flying machines. 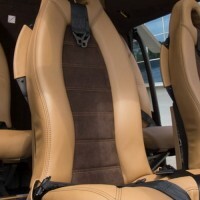 In Robinson R44 machine the cabin is glazed almost everywhere that is why the view from this one is most perfect. 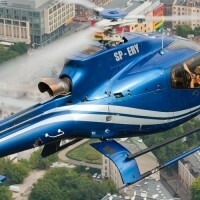 Maximum cruising speed by viewing flight is about 170km/h. On your request pilot, who speaks also English, will point out the most important places in Warsaw. You can get to the airport by yourself or ask us for transfer. Additionally, on your special request, we can provide you with wine, champagne or birthday cake, which will be served while waiting for the flight. We propose few starting points to choose. Coming back to the same place. Konstancin – Jeziorna: flight route is along Wisła river to Świętokrzyski Bridge where pilot turns back. During the flight there is perfect view for Wilanów Royal Palace and Gardens, Łazienki Royal Park, National Stadium, city centre with Palace of Culture and Science and other skyscrapers, Praga district and Old Town. 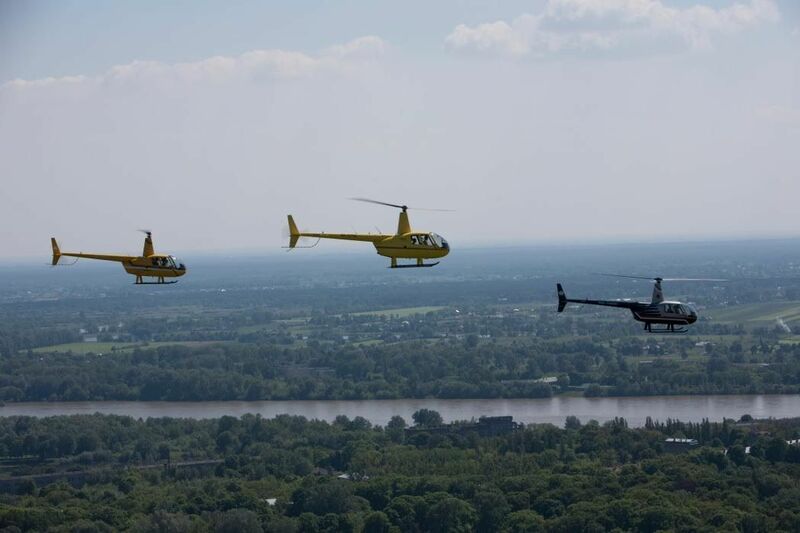 While 30 – minute – long flight helicopter gets to Żerań district from where you have guaranteed view for whole Warsaw, both flying from North as well from South. 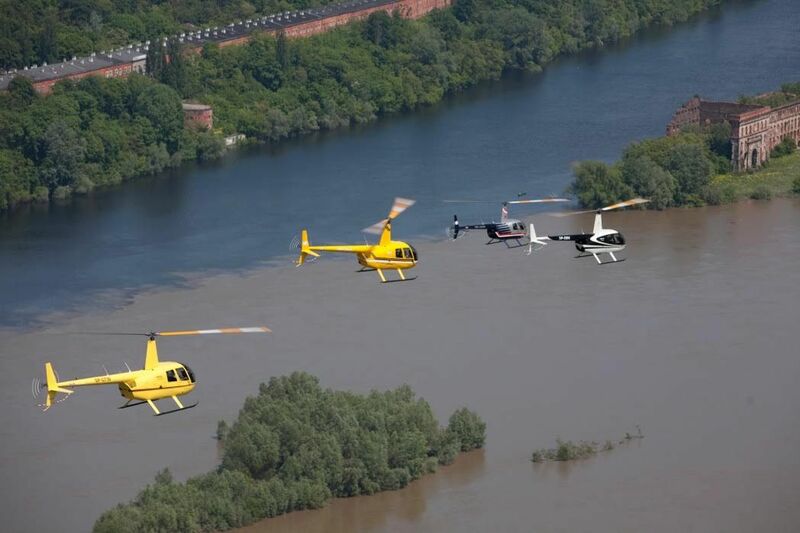 Bemowo Airport: flight route is above Bielany and Żoliborz districts to S. Grota – Roweckiego Bridge and along Wisła River to Siekierkowski Bridge where pilot turns back. This route guarantees great view to Bielany’s and Żoliborz’s structure, Praga district, the Old Town and the New Town, National Stadium and city centre with Palace of Culture and Science and other skyscrapers. Modlin: flights take place over the majestic Modlin Fortress and the beautiful backwaters of the Vistula, the Narew and the Wkra. The pilot returns at the height of Warsaw Tarchomin. 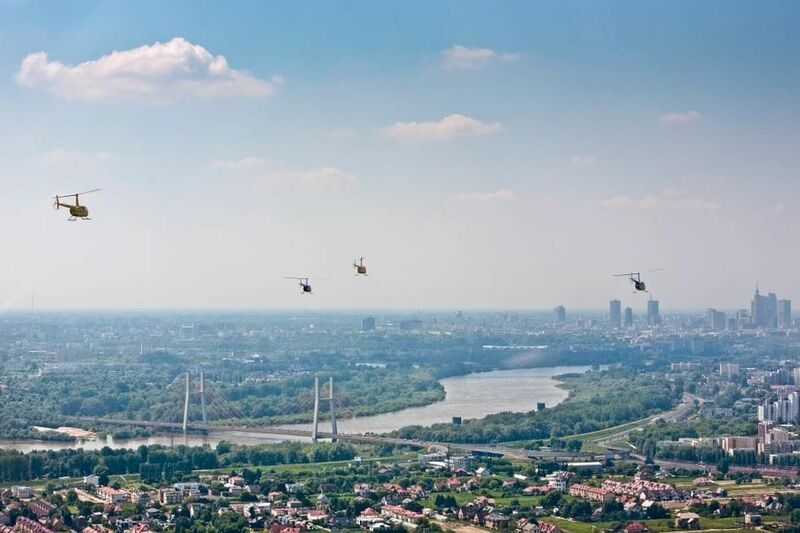 Longer flights also guarantee a flight along the Vistula section of Warsaw with the possibility of admiring the most important capital attractions listed above. Flights from Modlin are always linked to pilot lessons and the ability to hold rudders in flight. 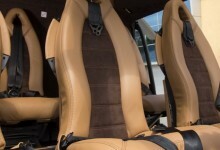 On special requests we can pick up guests with a private car or an exclusive limousine from choosen place and after the flight drive them back. Discover Warsaw in original way! Thank you for organizing this great flight, it was an amazing experience. We saw Warsaw from a different perspective and realized it is even more beautiful. Thank you so much.